Kelle McCarter of Designs Girl is a graphic design artist and an amazing calligrapher. Her love for art and the hand written word combine for a truly unique style, which I absolutely adore. Designs Girl is the first place I send my wedding clients for invitation design. 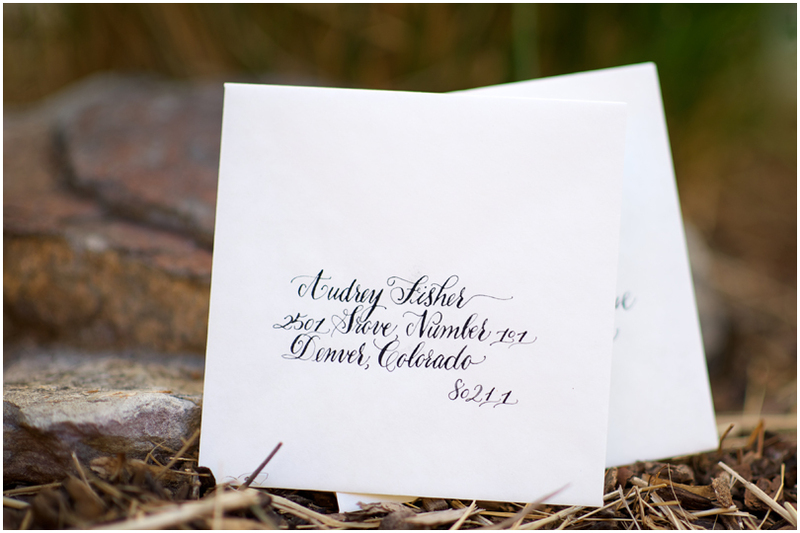 Her beautiful calligraphy sets the tone for the style of your wedding from the moment your guests receive their invitation, and is mimicked throughout each paper good it contains. Check out some of my favorites…from the invitation, to the RSVP card and map, your packet of information is perfectly coordinated! Since Kelle and I met 3 years ago, and I received my first beautifully addressed Greeting Card for the Holidays from the McCarters, I was hooked. All I needed was an excuse to utilized Design Girl’s calligraphy talent. Two opportunities came up this winter, and I took full advantage! First, my husband (ever so lovingly) informed me that my logo could be updated. Here is what Kelle came up with! Second, my sister found out she was having a baby! So as the proud Aunt To-Be, I had a Baby Shower to throw… and that means INVITATIONS! YAY! Here is Kelle’s lovely calligraphy, coordinating with the “English High Tea” inspired party we created for my sister.